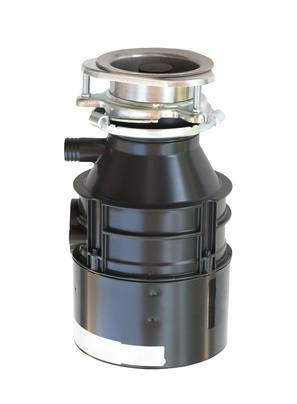 In many homes today, garbage disposals are a convenience and take some of the extra demanding work out of housekeeping; but if not used correctly, a broken garbage disposal can be a costly repair and a massive headache in the kitchen. The best rule of thumb to remember when it comes to your garbage disposal is never put anything in the disposal that is not a biodegradable food. If you’re in doubt, it’s best to throw it out. Never grind metal, plastic, glass, cigarette butts or even a piece of paper. It’s not food and therefore should not go in the disposal. Never grind anything flammable or combustible. Never pour oil, fat, or grease into the garbage disposal, especially if followed by hot water. The hot water causes the oil to liquefy, then cool and accumulate or build up in the disposal causing a clogged drain or pipe. Never grind materials (even food materials) that are extremely fibrous. Examples include celery stalks, artichokes, corn husks or onion skins. Fibers from these materials can tangle into the mechanics of the disposal causing the motor to jam and the drain to become blocked. Avoid using harsh chemicals like bleach or drain cleaners that can damage the disposal’s blades or pipes. Never grind expandable food like pasta or rice. As they do in the pot with water, foods like rice and pasta expand in your kitchen’s pipes or garbage disposal and can cause the disposal to jam or become clogged. Use citrus to keep things smelling fresh and clean: Before you toss out citrus fruit peels, place a couple of pieces in your garbage disposal. Run water down the drain while running the disposal. The rough peels clean the blades, while citrus oils naturally freshen things up. Throw in some ice cubes. Running water and placing a handful of ice cubes into your garbage disposal will help to “de-gunk” the blades and remove odor-causing food particles. Use these and other tips through your own research or contact the professionals at Kost Plumbing for more helpful plumbing tips. Remember, when in doubt, throw it out. You may consider printing this list and posting it near your home’s disposal for your entire family to use as a list of “garbage disposal rules."